Find and Disavow Toxic Links. 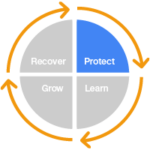 Recover and protect your rankings from Google Penalties and Manual Actions. Find toxic links that harm your website. Clean up your back link profile. Celebrate a Google Recovery. Protect from Negative SEO. 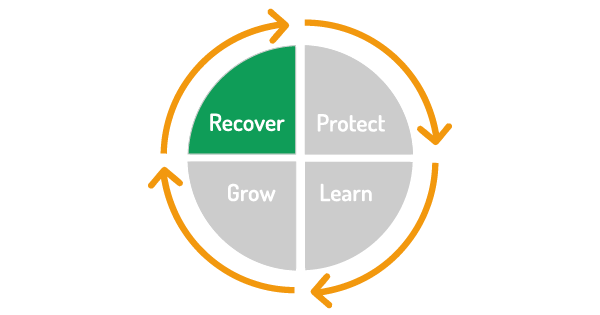 Link Detox can help you keep your online business safe and recover your traffic. Keep in mind, Link Detox is only a small part of the powerful LinkResearchTools® SEO Toolkit. Link Detox Risk is a unique risk metric calculating the risk of any link and your whole domain (Domain DTOXRISK®). Judging on the link risk of any single link helps you decide which ones to disavow, delete or to keep. Link Detox was the first link audit product launched in 2012. Since then, we’ve helped thousands of companies recover from their penalties. Link Detox was free for the first eight months, so that also gave us a head start of many billion data points that no other product ever got to or will be able to incorporate into their algorithm. Simply said, we know the most about Google penalties. Combine that with the 25 link data sources we have and you will immediately understand that any other product claiming “Link Detox”-like functionality can just not deliver the same quality. Link Detox gives you a complete backlink profile to review you can get on the market. It’s imperative that you analyze your complete backlink profile of course. Imagine you’d just look one part of your car in the annual service and miss critical issues that could cost you your life. It’s the same with backlink audits. Thanks to the 25 link data sources and the option to connect Google Search Console, Google Analytics, connect your custom link data APIs and even upload any number of links we got you covered. Only you plan limits for the number of links you can audit for a domain. While some Link Detox knock-offs keep you in the dark about why a link is deemed risky, we list all rules triggered for each link. 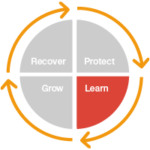 Link Detox Genesis® is an organic data-driven algorithm that assigns a DTOXRISK to every link depending on an aggregated calculation of multiple patterns and risk signals. It will help you assess all your backlinks, recover from Google manual penalties, protect your website from future penalties, and build new strong links. Link Detox supported keyword intelligence in its rules for years. It’s required to understand if a link anchor text is of commercial nature of a brand mention. Keyword classification helps understand the risk assessed based on frequency, words and many more factors in Link Detox. Many other link audit products to not even distinguish between the keyword classifications, white LinkResearchTools supported this major requirement since 2010, Link Detox since 2012. Combining 25 link data sources and your manual files will create a mess in other tools. LinkResearchTools combines, cleans and recrawls all links before it presents results to you. What’s the point of using a link analysis software if you look at old data? This problem of inconsistent data in other products was, in fact, the root idea of why we invented LinkResearchTools in 2006. You can upload any link lists you have to Link Detox to enrich our back link data. While this will help the goal have a full backlink profile audit, it’s not required. Link Detox supported the Google Disavow file already 7 hours after the official announcement of that feature by Matt Cutts at Pubcon Las Vegas 2012. Since then we’ve gone to great lengths to make the disavow file handling perfect for our users. Every action you apply to your disavow file is managed centrally by Link Detox. We create and maintain your disavow file. No more messing around with text files and manual comparisons. We generate the file in the exact format required by Google. Read more. Let’s face it – clients change, SEOs change. You are the one who takes over a domain with an existing disavow file. The first thing you want to do is perform a disavow file audit. There you might find many useful links that you could undisavow and recover traffic that you lost due to human error in the past or because the web changes daily. Read more. You can upload a list of links and simulate you would have them already. Link Detox will then calculate the potential risk for those links for you. Based on the Link Detox Risk score for each link you can decide to acquire it or not. Read more. Link Detox also keeps a history of all changes for as long as you use the software. 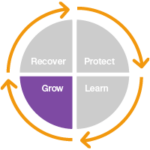 This helps you keep track of changes you or your team made over time. Disavow File History works like a version control for links and disavow files. Think of this as a revision history of your disavow file. You can even retrieve the past disavow file with this feature. Read more. Link Detox works seamless together with the Link Opportunity Review Tool (LORT) that allows you to review single or a small number of link opportunities fast. Read more. While Google won’t read your comments in the disavow file, some of you wish to comment the disavow file. We support this. Read more. Sometimes you need to assess the risk of links going to a subfolder or even a page, especially on large e-commerce sites. We got you covered. Read more. The more data and links we see, the more precise your reports will be. In addition to our 25 link data sources, you can connect Google Search Console with LinkResearchTools. We even support multiple GSC properties for the same website a secret tactic to get more links out of Google Search Console. You can even adjust Link Detox to your niche and needs. 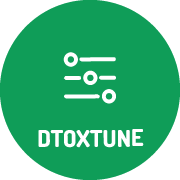 Link Detox tune is a unique technology that allows you to change the weights of all Link Detox rules for your link audits. This is useful for very exotic niches or if you wish to accept the particular risk, e.g. when building a PBN. Read more. You can also connect Google Analytics (GA) to LinkResearchTools, and we’ll try to enrich your data profiles from there as well. 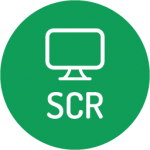 You can review your links in the Link Detox Screener in a handy way. 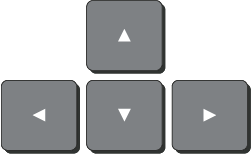 Using hotkeys on your keyboard, you can quickly navigate thru the backlink profile and decide efficiently which links to disavow and which to keep. Read more. Some black hat SEOs use Link Detox for finding patterns in their link networks and PBNs. Of course, Link Detox is the leader in finding footprints and unnatural links, so this off-label-use make perfect sense. Don’t try this at home. Audit No Follow Links, or not. Based on our research No Follow links can also trigger spam penalties in Google. About half of the market confirms this. The other half prefers to ignore potential risks coming from No Follow. We support analysis for both ways. You can even start with auditing only Follow links first, and then finalize your audit by re-running it for all including No Follow links. Better be safe than sorry. Read more. Using CDTOX – the big brother of Link Detox – you can prospect for strong and healthy links of your competitors. Of course, all the keyword classifications and data training you did to Link Detox will be used there, too. 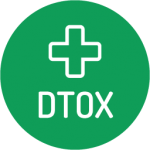 Link Detox fully integrates with Link Detox Boost that helps you recover faster. Read more. Link Detox allows you to generate a disavow file automatically in the exact format required by Google so all you have to do is upload it to your Google Search Console account. Link Detox also keeps track of your disavow history. This allows you to watch and track all changes to your disavow file on a file and domain level. Who invented Link Detox? We. Why does a webmaster need to use Link Detox? A loss in rankings is likely to result in a loss in traffic, and could thus harm your business significantly. If your site is not ranking properly, chances are you have received a Manual Action or an algorithmic Google Penalty. In such case, Google believes your back link profile may include unnatural links and will thus down-rank your site. With Link Detox, you can find the bad links that harm your site, create a disavow file automatically, and earn your rankings back. What is Link Risk Management and how does it help me? Recovering your site from a Google Penalty is only step one. Due to the Real Time Google Penguin you can recover fast, but also drop faster. Instead of manually reviewing all your links, why don’t you just lean back and go through the links you need to audit without leaving the comfort of your keyboard? The Link Detox Screener offers a preview of every audited page in a sandboxed environment and you can disavow on page / domain level and jump between the sites like in a video game: with the push of a button. After Google’s first Penguin update, Christoph C. Cemper created Link Detox – an SEO tool that became the industry standard for link audit and link risk management. Learn more about the benefits of using Link Detox to protect your website. Link Detox easily finds more links than any other back link analysis software on the market. By gathering data from 25 different sources, it provides you with the complete back link profile, allowing you to spend time analyzing the data, rather than collating it from dozens of data sources. Link Detox is superior to other methods and tools because it provides you with fresh, re-crawled backlink data whenever you start a new report. This allows you to research the backlinks that your website has at the present moment. Don’t look at outdated backlink information; Link Detox is the only off-page SEO tool that allows you to base your decisions on up-to-the-minute accurate data. This particular re-crawl feature can sure help you recover faster from a Manual Action. After you submit a Reconsideration request, you must keep a close eye on your backlink profile, so that you don’t get any new bad links while Google is deciding on whether to lift your penalty or not. 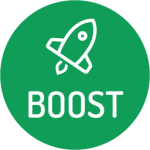 Link Detox Boost® speeds up your recovery from a Google Penguin penalty or a Manual Action. There is no other tool that can make Google take notice of changes in your backlink profile. 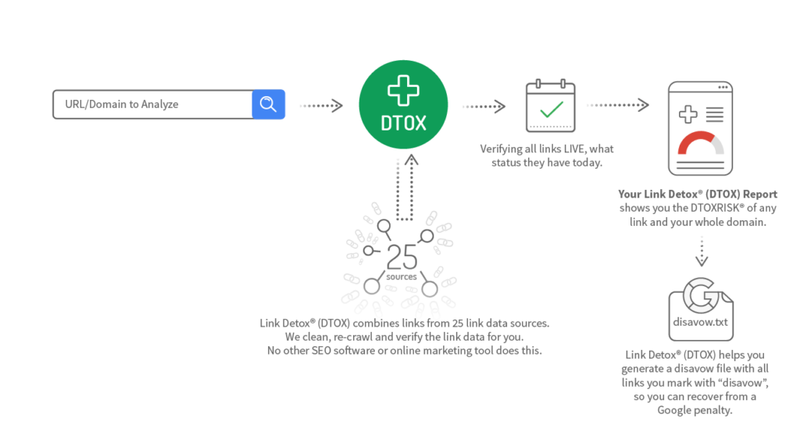 When you’re trying to recover from a Google penalty, Link Detox Boost helps you without a doubt. 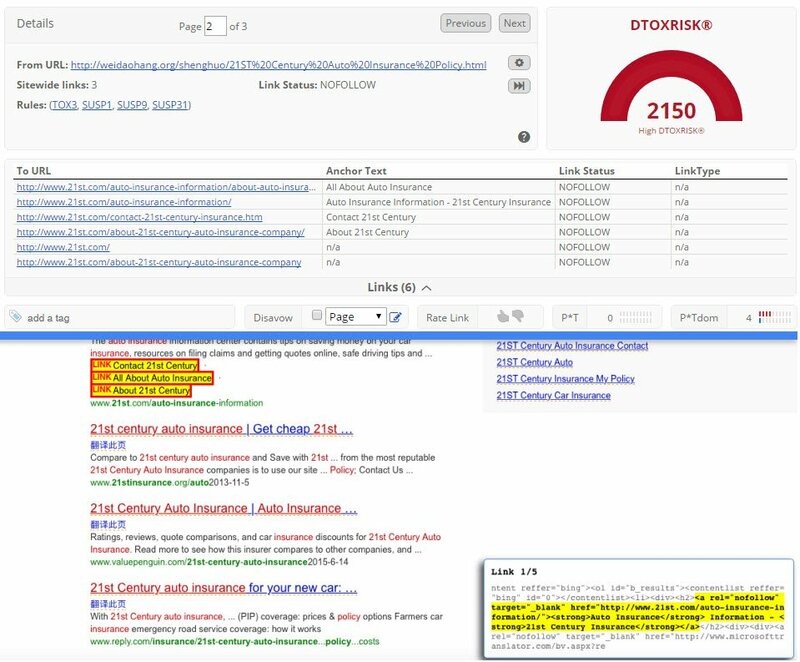 Link Detox assesses a DTOXRISK® value for each backlink, including No Follow links. These link risk calculations are based on Link Detox Genesis® – a unique data-driven and machine-learning algorithm that mimics how we believe Google looks for risky links. 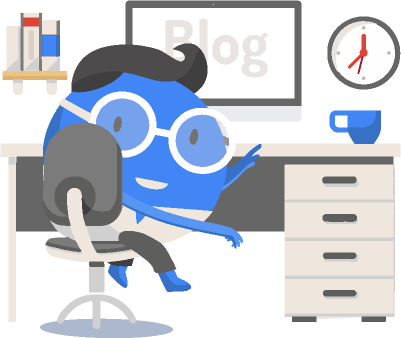 The Link Detox Genesis calculations include complex technical data and feedback from users, learning from hundreds of thousands of reports created by SEO and domain level. Here’s a unique way for you to check the quality of a link. In Link Detox, you can measure how well a linking page ranks in Google for its page title. If it ranks on a very high page number or does not rank at all, then it has probably been penalized and you should disavow it. In your Link Detox reports, you get a strong two-dimensional SEO metric that will help you quickly assess the power and trustworthiness of a website or page. Did you have a reckless SEO or an Agency doing the website audit work for you? You can now check if they disavowed any good links. The Link Detox Disavow File Audit Mode also shows you if some bad links you disavowed in the past have become good in the meantime. Maybe the owner of a domain changed or a website recovered from a penalty. You want that link back. We want our customers to stay with us forever that’s why we take the time to listen to you. Our support team is always happy to help and guide you through every step, making sure that you make the most of this unique product. Link Detox works with websites from anywhere in the world. it can analyze your backlinks for any language in any country. No matter where you are located, you will always be able to enjoy the benefits of Link Detox. We have more than 300 Certified SEO Professionals, located in different parts of the world. They know the tools and they know the business. If you want to buy Link Detox, but you don’t have an in-house SEO, you can contact us and we will be happy to recommend the best SEO for the job. Clean-up and monitor your backlink profile! Do you think we should try to remove a Manual Google Penalty that was imposed two years ago? Yes, we think you should. We recommend you start asap because each day of a Google Penalty can mean a loss of traffic and thus a loss of money. Please start a report in Link Detox, and check all your risky links. In a Reconsideration Request, it is very important to show some efforts in link removal. Use our Contact Finder or PitchBox integration (Superhero and Enterprise account) to contact webmasters. After that, disavow all those risky links that you couldn’t remove manually. Document it all and submit your Reconsideration Request to Google. I’ve seen quite a few products on the market to do a backlink cleanup, is Link Detox, the best bad link checker? We believe it is by far the best link audit software on the market. Link Detox has been on the market since 2012 which is longer than any other tool that can audit links effectively. 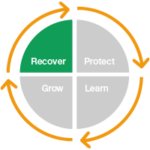 Link Detox uses its Link Detox Genesis algorithm that has been collecting data and self-learning for years. Just imagine the data that has been collected after hundreds of thousands of link audits with ‘human rated’ feedback! 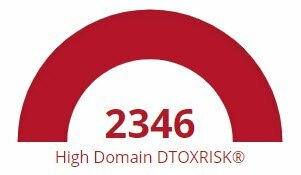 My site has a Domain-wide DTOXRISK score of 1345 What score should I be aiming for? Try to get it down to at around 700 or less, which will show as an average DTOXRISK. Please make sure you have followed all the important Must Do Steps to show the correct Link Detox score. It is also recommended to check out your competition using CDTOX to get a better understanding of your niche. What is the difference between Manual Actions and Google Penguin Penalties? Google Penguin is an algorithmic Penalty (also referred to as a ‘Filter’) while the ‘Unnatural link warning’ (as it used to be called in 2012) is a manual Penalty. In the first case, your website triggered the Google algorithm and was thus penalized. In the latter case, an actual human from the Google Webspam team has reviewed your site and issued a manual action. Google will inform you about a manual action, but not about an algorithmic Penalty. To remove a manual action, you can send in a Reconsideration Request via your Google Webmaster Tools account. Algorithmic Google Penguin filters do not give you the option to file a Reconsideration Request with Google. Both Penalties are based on bad, spammy and low-quality links, and require you to clean up your backlink profile. Read a summary of 3 different Penalty cases here and learn how they managed to remove it in each case. Yes, we believe TOX3 links should be removed as they are classified as ‘very unnatural.’ We highly recommend you check TOX3 links carefully. Why is it important to classify the keywords in Link Detox? To receive a more precise Domain DTOXRISK, it is highly recommended to classify at least 80% of the keywords. Also, some Link Detox rules (SUSP28 – SUSP31) require keyword classification. These rules will only be triggered when more than 80% of the keywords are classified. In this phenomenal case study by Ashley Turner, his client suffers from a Google Algorithmic Penalty, a Google Manual Penalty, and a Negative SEO attack. After using Link Detox, a Reconsideration Request and a lot of hard work, it paid off with an excellent recovery. This case study is a very good read. Finding link opportunities is easy when you use LinkResearchTools. Once you have a big list to work with you can then use Link Detox in Link Opportunity Mode to find the strong, low-risk ones. Webmasters of larger websites will not always want to run Link Detox on their entire website. As well as analyzing an entire site, Link Detox Risk calculations can be made for sub-folders and single pages. In this case study, a marketing agency contacted Bartosz Góralewicz because they were worried about Google Penguin 3.0 ruining their rankings. The job was to secure its rankings using Link Detox and Link Detox Boost. The link audit was completed in three days, and 99.7% of the backlinks were disavowed. The result was an 187% increase in search visibility. Disavow bad backlinks and keep your backlink profile clean.